Today, let's take a look at the Final Fantasy XIV interview, and mainly Naoki Yoshida's discussion, Naoki Yoshida gave us a lot of interesting information, from housing to squadrons and more. He would like to provide content that isn't necessarily more difficult than it is now, but ensures that we don't lose that element of thrill and excitement that comes with it. 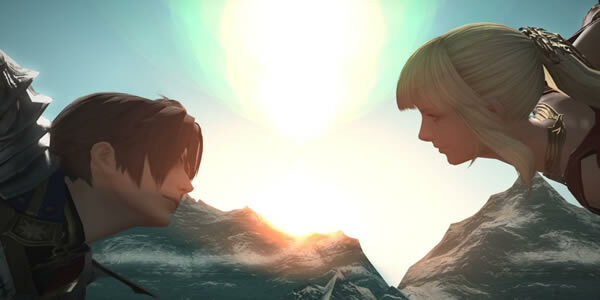 Naoki Yoshida stated that conversations on new races and jobs in FFXIV is super-top secret. You can deep dive into here to read more news. Q: As might be expected considering the involvement of Raubahn in the main scenario, the storyline of both Stormblood and Patch 4.1 have had a focus on Ul'dah over the other city-states. Can we expected the spotlight to return on Limsa Lominsa, Gridania, and their rulers in the future? NY: We still have Doma, who is just starting on their first steps of independence following liberation from the oppression of the Garlean Empire. What story awaits our Warrior of Light after the dust from the chaos of war has settled? This would be a spoiler, so I would like to refrain from going into any more details, but I am sure a surprising story awaits. Stormblood brought some very relevant changes to PvP, and I have to say that I absolutely love the new implementation. Now, if we could get true RvR like in Dark Age of Camelot, I’d be even happier, but pipe dreams aside, what do the metrics for Frontline and The Feast look like in the post-expansion Final Fantasy XIV? What plans do you have to improve popularity among players even further? NY: The number of players participating in PvP has noticeably increased, and those who were previously hesitant because they thought the bar was too high are slowly beginning to dive into PvP. We are planning to push out three major updates. One is the addition of new types of PvP modes, beginning with the recently released Rival Wings content that came with Patch 4.15. Additionally, in order to make for quicker matching and to help increase participation in PvP even further, we are looking to refine the time for when specific content is available, to allow for players to better balance both PvE and PvP play. More news and guides, we have improved our site structure and designing, you can visit here: https://www.ffxiv4gil.com/.